The Advertising Campaign Coordinator position involves managing various advertising campaigns on a daily basis, tracking response and scheduling future campaigns. The person will research and find new copywriters to create new ads for financial publications, schedule advertising campaigns, review responses and manage campaign costs. We are looking for someone who has worked in the direct marketing industry before. This in-house position is full time with a salary, a comprehensive benefits package, and the potential for a bonus. 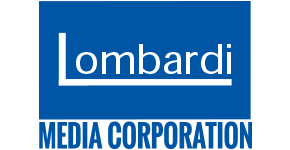 Who We Are: Lombardi Publishing Corporation, located in Vaughan, Ontario, is one of the largest consumer information publishers in North America and is widely recognized as a leader in providing quality and diverse information to over one million customers in over 141 different countries. In business for 31 years, we’ve grown from a single stock market newsletter to a bevy of advisories focusing on everything from penny stocks and precious metals to foreign investing and global economic commentary. Why Work for Lombardi? As a Lombardi employee, you will be part of a bright, talented group who are leaders in their field. We offer a competitive salary, group benefits and an opportunity to be part of a fast-growing publishing company that encourages their employees to be the best they can be. The core leadership of this business believes strongly in the entrepreneurial spirit. We are hard-working people who want others to reap the rewards of executing a job well done. If you’re ready for the challenge… if you’ve got the drive and determination to succeed, then we would like to meet you.